Our Team — Village Partners, Inc.
Michael developed large office and industrial projects in Southern California for Legacy Partners Commercial prior to his work at LNR, operated a real estate consulting business servicing both corporate and developer clients, and was a Vice President with a large residential land developer and commercial investment firm. 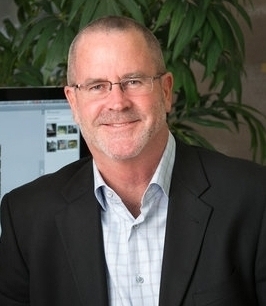 Roger D. Stevenson is the Director of Construction Management for Village Partners. Prior to his work with Village Partners, Roger founded Bedrock Consulting, LLC, a Construction Management and Program Management Consulting company. With over 35 years of solid construction industry experience, Mr. Stevenson provides perspective and expertise that is grounded in years of experience and success. As a Certified Sustainable Building Advisor, Mr. Stevenson is a passionate advocate of sustainability and green construction. Mr. Stevenson invested decades of service with Charles Pankow Builders a leading design-build construction company where he was responsible for pre-construction services. A few of his successful project endeavors included a mixed use development at Sunset & Vine in Hollywood, CA and another development, Paseo Colorado in Pasadena, CA. A native of Indiana, Mr. Stevenson received his Bachelor of Science in Civil Engineering with emphasis in Structures, Geo-Technical Systems and Construction Management from Purdue University. He is a member of the Construction Management Association of America, US Green Build Council, Urban Land Institute, and International Council of Shopping Centers. Mr. Stevenson’s hands-on and solution-oriented approach brings tremendous value to costly and technically challenged projects. Kaitlin joined Village Partners in 2015. As development manager, she is involved in market research, acquisition, project underwriting, design development, and due diligence. Kaitlin brings an interdisciplinary and empirically-informed perspective coupled with a comprehensive knowledge of the Southern California region to her work with Village Partners. Prior to her work with Village Partners, Kaitlin’s academic and professional work was grounded in economics, including time spent working at the San Francisco Center for Economic Development.